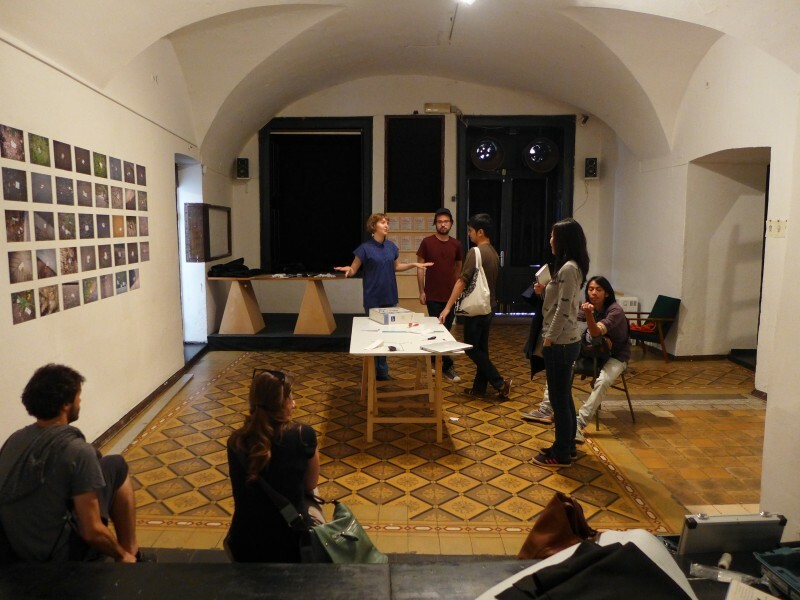 The first phase of Curating-In-Depth, a project by SCCA - Ljubljana and Planting Rice, provided an immersion in Slovenia for six curators from Myanmar, the Philippines and Singapore. In this comprehensive exchange, similar curatorial goals were identified and the differences in context encouraged a deeper enquiry into matters of infrastructural support in arts and culture between these two regions and how art navigates through society. Curating-In-Depth is one of the three projects supported in the 4th edition of Creative Encounters: Cultural Partnerships between Asia and Europe programmed by the Asia Europe Foundation (ASEF) and Arts Network Asia (ANA) and with the support of Trans Europe Halle (TEH). It is an incubator project aimed towards the development of curatorial exchange brought together by two non-governmental institutions in Slovenia and the Philippines, namely SCCA, Centre for Contemporary Arts – Ljubljana and Planting Rice. 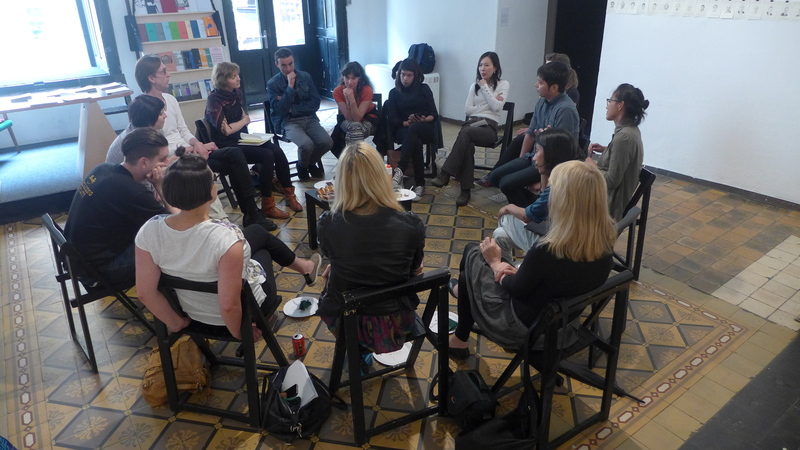 Curating-In-Depth conducts this exchange through immersive programmes in both the cultural communities of Ljubljana in Slovenia and Manila in the Philippines from May to August 2015, and aims to sustain these initial engagements through a shared network platform and e-publication of materials produced and referenced in the project. The project was conceived in the shared interest of SCCA Centre for Contemporary Art – Ljubljana and Planting Rice in curatorial practices as alternative systems of knowledge production. 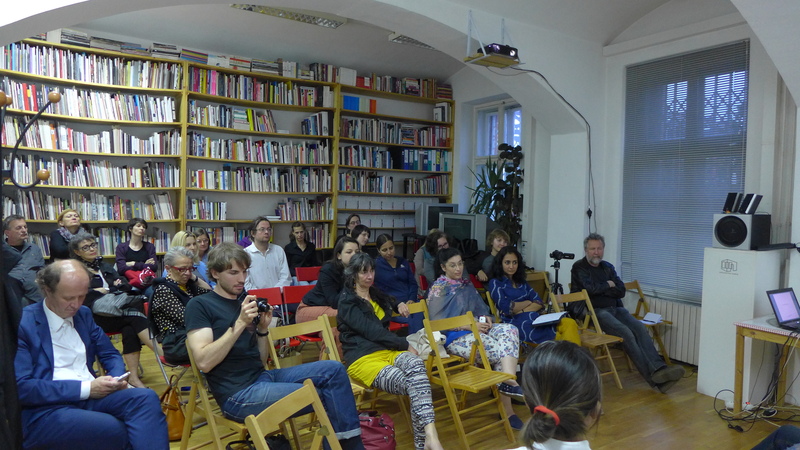 Acquainted in a meeting on cultural mobility among Asian and European organizations initiated by the cultural mobility network On the Move in 2014, the partners of Curating-In-Depth recognized similar approaches of their art communities in dealing with the absence or down scaling of infrastructural support. The aspect of the curatorial as the contemporary vehicle for recovering cultural values, elevating critical education in art production and mobilizing discourse in an expanding network is also a crucial point of convergence for the partners in putting together Curating-In-Depth. The main activity termed as “curatorial mapping” is two-fold: Southeast Asian curators are to spend time in Slovenia, mainly in Ljubljana while the curators from SCCA Centre for Contemporary Art – Ljubljana and Kurziv Croatia will likewise immerse in the Manila art community. 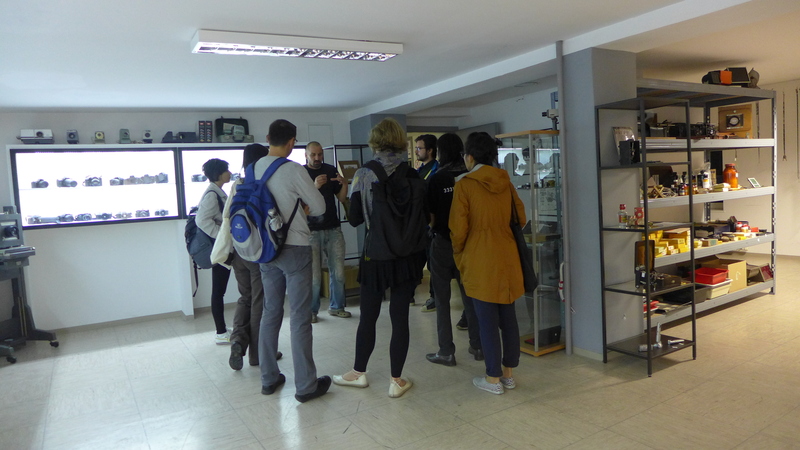 Programmed as a two-week long excursion in both cities, the curatorial mapping involves introductions to stakeholders that move artistic communities and develops events that would allow discussions and networking opportunities among those who are involved in the programme. The first phase of Curating-In-Depth unfolded in Slovenia from 3 – 16 May 2015 with an extensive agenda generated by SCCA Centre for Contemporary Art – Ljubljana for the definitive engagement of six curators from the Philippines, Singapore and Myanmar with SCCA’s primary networks in the Slovene cities of Ljubljana, Celje and Maribor as well as in Zagreb, Croatia. The thirteen-day excursion included meetings with curators and directors of museums, art galleries, foundations and other art sites – building up a thorough survey of models through which such art institutions operate on the national, non-government and independent levels. The thrust of the curatorial is presented in the response of these sites to the historical transitions from a region that is formerly Yugoslavia to independent states vis-a-vis the recent diminishing of the funding pool for culture and the arts. 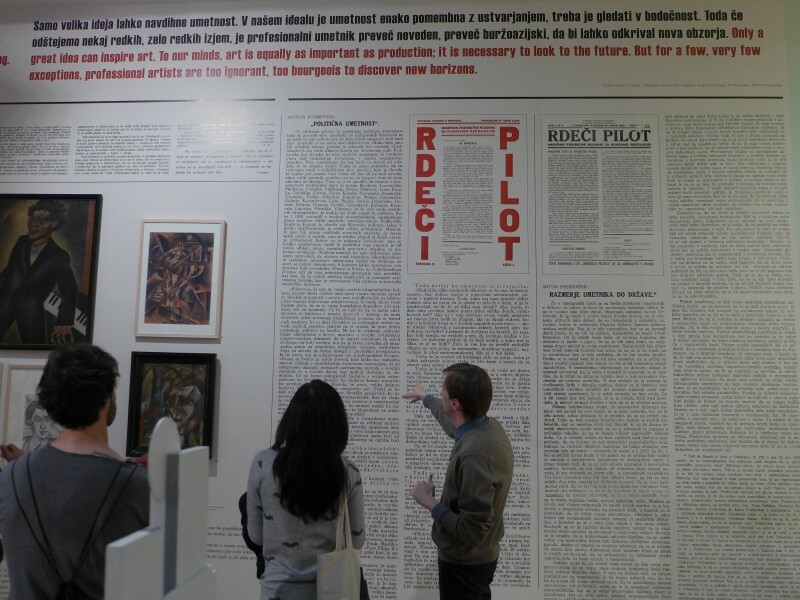 This is manifested in the posturing in which institutions take, be it a museum such as the Moderna galerija that resists the postmodern spectacle of art production and simultaneously explores a subversive stance in incorporating peripheral narratives which were communicated in the walk-through of the exhibition 20th Century . Continuities and Rapture with curator Marko Jenko. It is also expressed in the practice of current artist director of City Art Gallery Alenka Gregorič as she instigates professionalisation of the labour of art workers as part of the programming where exhibition production requires necessary benefits as that of standard employment. 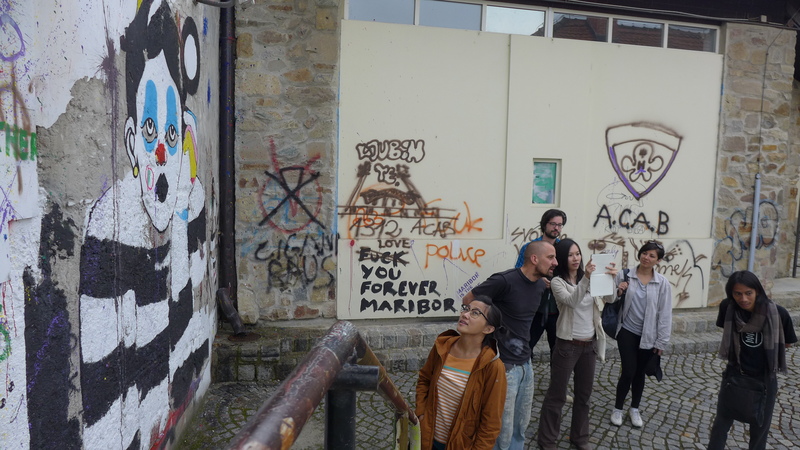 The framework of mutual benefit in self-organisation is also manifested in Transnational Guerilla Art School, Maribor, initiated by Foundacion Sonda, where currency takes the form of activating a “free” space beyond the common notion of studio residencies. Collectives that need a more permanent and physical site for their activities could make use of this venue insofar as they remain accessible platforms in which other practitioners from the community can benefit from. The primary itinerary contained privileged surveys into the overall structure of the Slovene scene. The other end of this programme introduced the practice of the visiting curators whose practices were based in Southeast Asia. Antares Bartolome (Philippines), Isabel Ching (Singapore), Kenneth Paranada (Philippines), Moe Satt (Myanmar), Shireen Seno (Philippines) and I presented our individual practices and main areas of curatorial research in two events – one with SCCA World of Art Students, and the other at a public symposium. It is through these presentations that we fleshed out the shared impetus to develop a practice of accountability in intercultural exchanges by identifying together as practitioners in Asia and Europe, the similarities and differences that would aid the understanding of each other’s contexts. Motivations and persuasions were identified in the face of encountering degrees of state support: why do we persist as cultural operators in spite of funding cuts (as with Europe) or the lack of funding at all (Southeast Asia)? Likewise, curatorial perspective on the audience differed – how do exhibitions turn out in the comfort of a predictable local context or in the anticipation of an invisible, international audience? On the same breath these discussions sympathized with how both communities are driven to go beyond inherited systems such as national education and cultural agenda, and provided insights on how both communities deal with the debris of the broken promises of democracy and socialism, and inevitably navigate around the pressures of capitalism. The first phase of Curating-In-Depth followed a comprehensive itinerary which also allowed informal spaces of dialogue that produced an initial entry into an awareness of intercultural dialogue, particularly between European and Asian perspectives. It concluded that open-ended possibilities are much more grounded and critical than the idea of parachuting into a community and curating it according to the milieu we are based in. The second phase continues in Manila, Philippines from 28 July – 8 August 2015. Sidd Perez is a curator and art writer based between Manila and Singapore.